Black, polycarbonate replacement handle for Z1341 and Z1341XL hose bibbs. 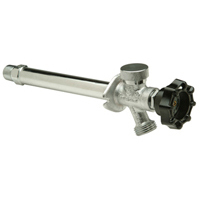 Engineered handle design eases turning for the user, while providing durability for longevity of the hose bibb. 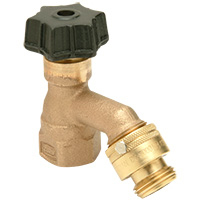 Exposed, anti-siphon, wall facet for use in moderate climate installation. Comes complete with Z1399-VB external vacuum breaker.